Why the Basque Country and the North? 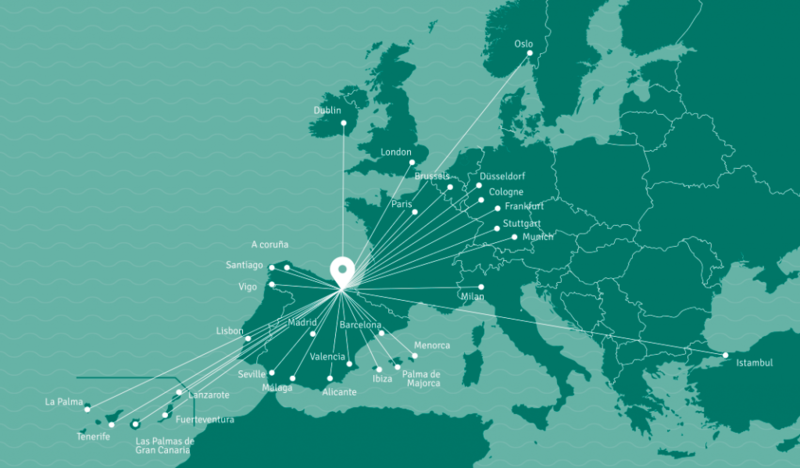 Bilbao International Airport Direct Flights connections to main European hubs: LHR, FRA, CDG, MAD, AMS, MUC, BCN, BRU, IST. Best connections through the rest of Spain by motorway from Madrid and Barcelona. A regular service ferry from Portsmouth operated by Brittany Ferries. 1 hour away from any Spanish City ( Malaga, Barcelona, Valencia, Sevilla, Madrid, Palma de Mallorca, Ibiza..) Daily Flight Connections to London, Paris, Frankfurt, Istanbul, Munich, Brussels, Zurich, Amsterdam, Manchester. Train connections with Madrid and Barcelona and the near future the AVE ( High Speed Train) will improve services.